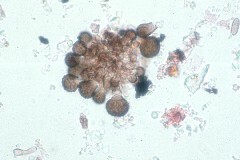 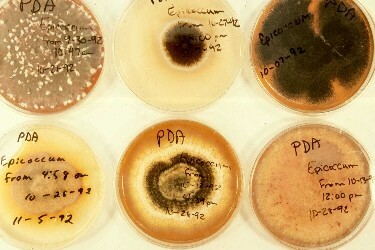 Spores of Epicoccum occur individually. 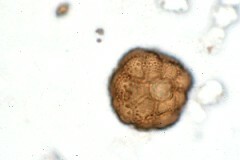 Their shape is somewhat spherical, with a broad flattened area at one end. 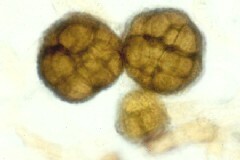 Spores have several septa (cross walls) often perpendicular to each other. 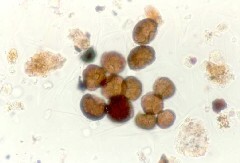 The spores are known to be prevalent sources of allergens in the atmosphere, generally causing symptoms associated with respiratory problems such as allergic rhinitis (hay fever) and asthma.